Hungarian average gross and net salaries grew by 10.8% YoY in October, above the market consensus. It is still lower than what we saw in the first half of the year, so overall we are seeing a decelerating trend. The public sector yet again showed a slower pace of salary increase compared to the business sector. However, the 9.6% YoY increase is still strong and was dragged down by a significant drop in premiums and one-month bonuses (-23.9% YoY). 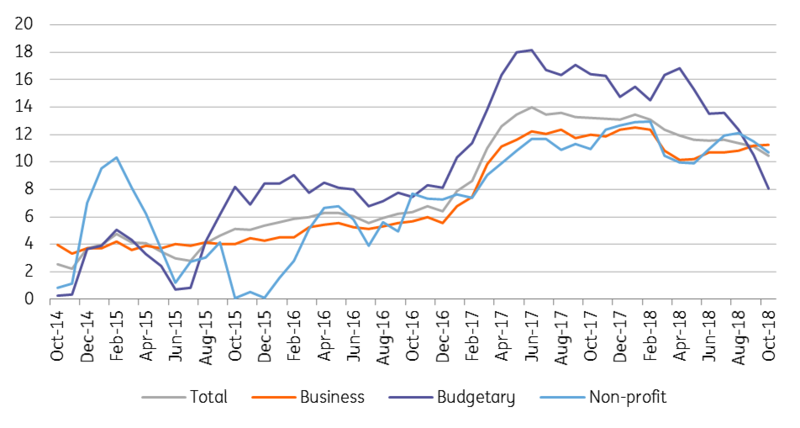 Regarding the business sector, the 11.2% YoY growth slightly exceeds the average of 2018, thus the labour shortage still pushes companies to pay more. This is especially true for workers in the mining and energy sector as well as in construction. As far as labour demand's concerned, the overall picture shows that even though it's difficult, companies are still able to hire new employees. 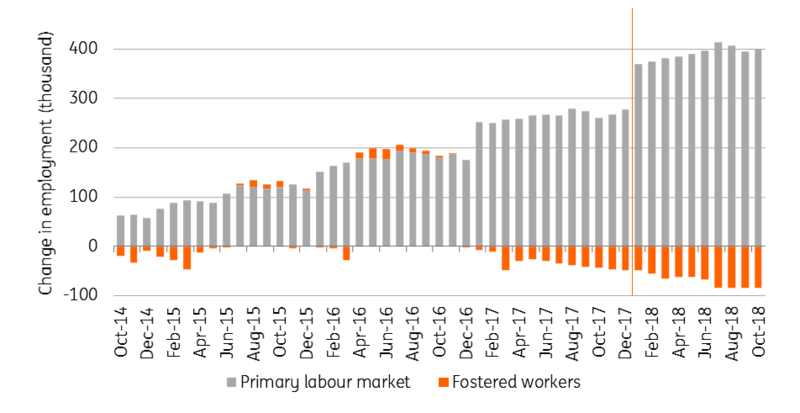 The number of employed people in the primary labour market increased by 139.6k, so 4.8% year-on-year, meanwhile the number of fostered workers decreased by 40k in a year to 114.6k. The fight for labour will keep pushing wages up in the future, but we are still waiting for the decree from the government regarding next year’s minimum wage. We expect an 8.7% increase for unskilled labour and 11.9% for skilled. It will also roughly determinate the wage increase on the national economy level, where we see nominal wages increasing by 9% in 2019 as a whole.